“Big Thanks to Becky” blog hop! My project has a Christmas theme. 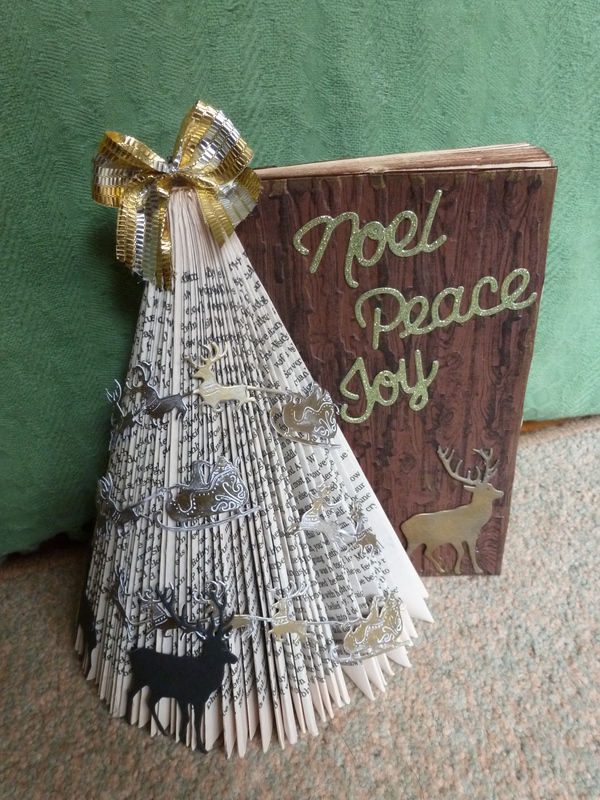 I made this Christmas tree from a paperback book! 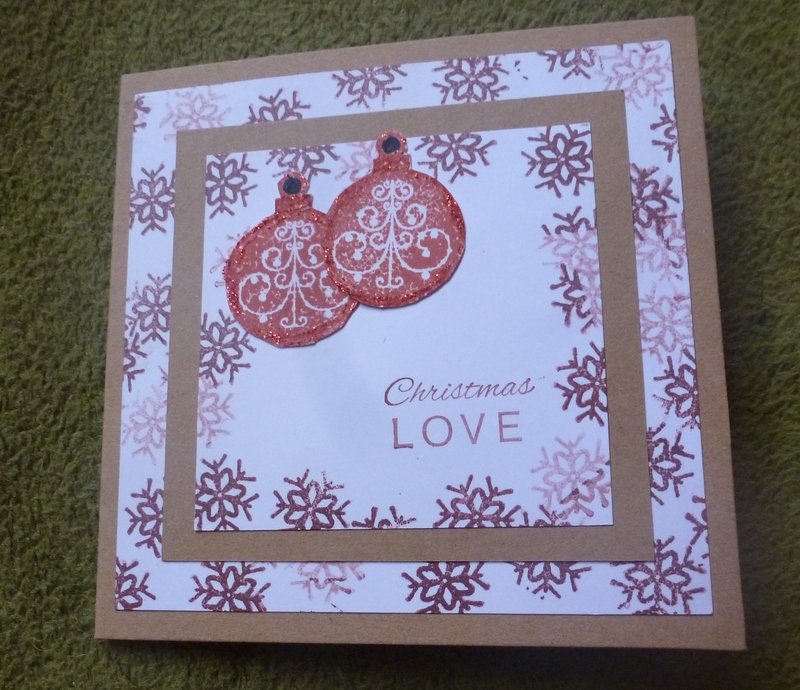 I embossed card for the front and back covers and added XCut word dies. 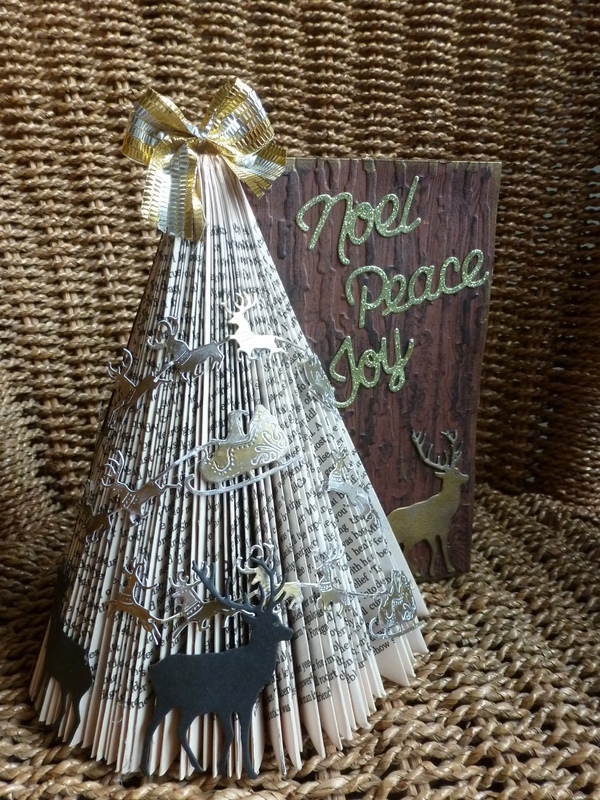 Here is the latest craze for me….a book folded Xmas Tree! I used a paperback book to fold the tree and then decided to use the remaining book as a stand next to the tree. 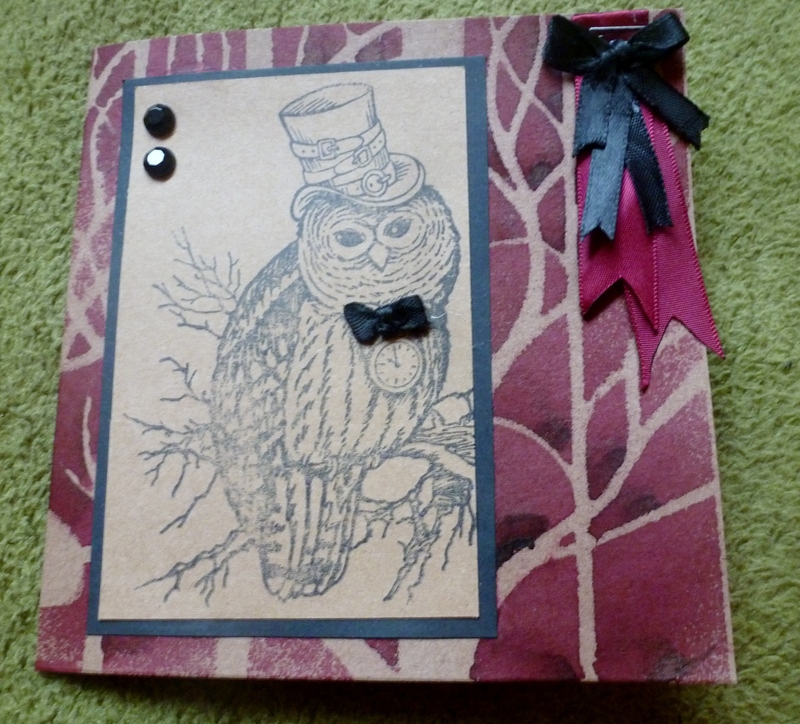 Decorated the back and front with brown card which I embossed and stamped with a wood grain effect. Decorated with dies. Added bow to the top. Hope you like it! Im rather pleased with it, myself! 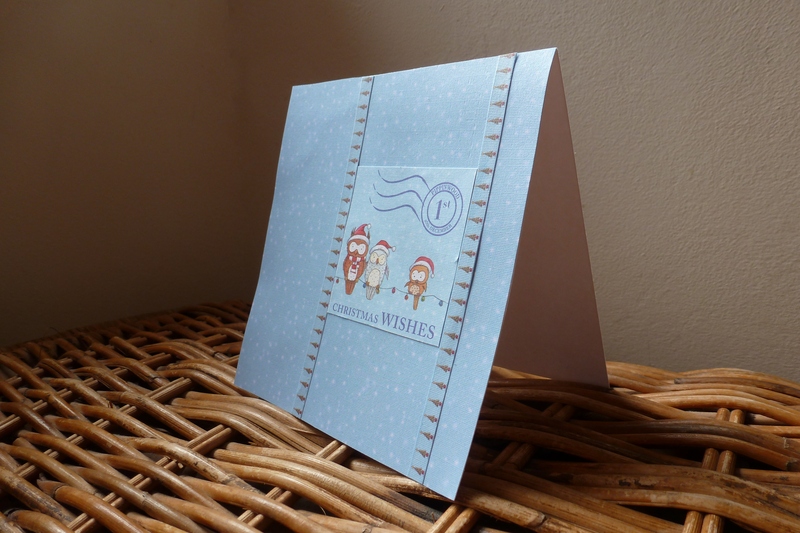 This is my attempt at a Clean and Simple style of Christmas card! I like the clean and simple cards and hope to try out the technique some more! 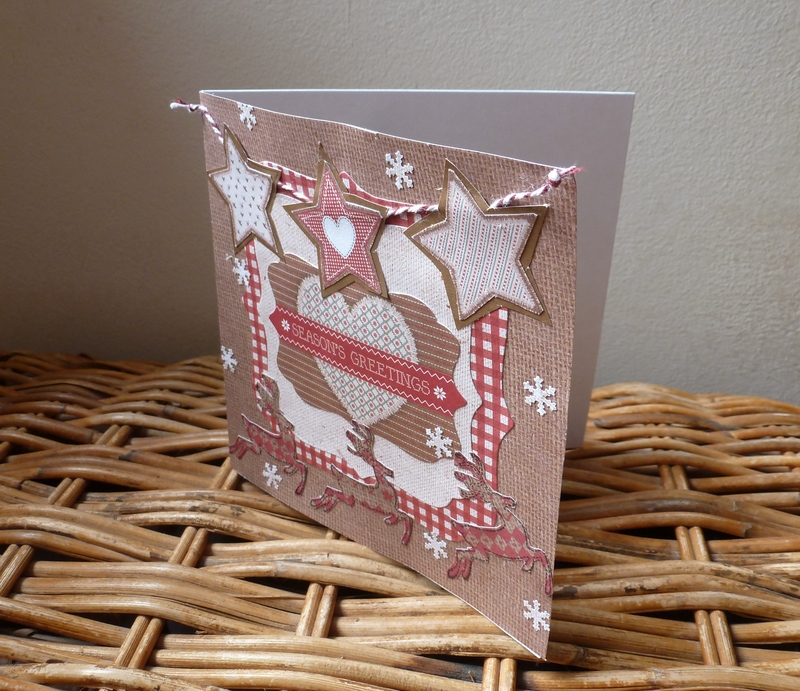 I loved these filigree cards from Papermania as soon as I saw a colleague at docrafts using them! So pretty with the snowflake background! 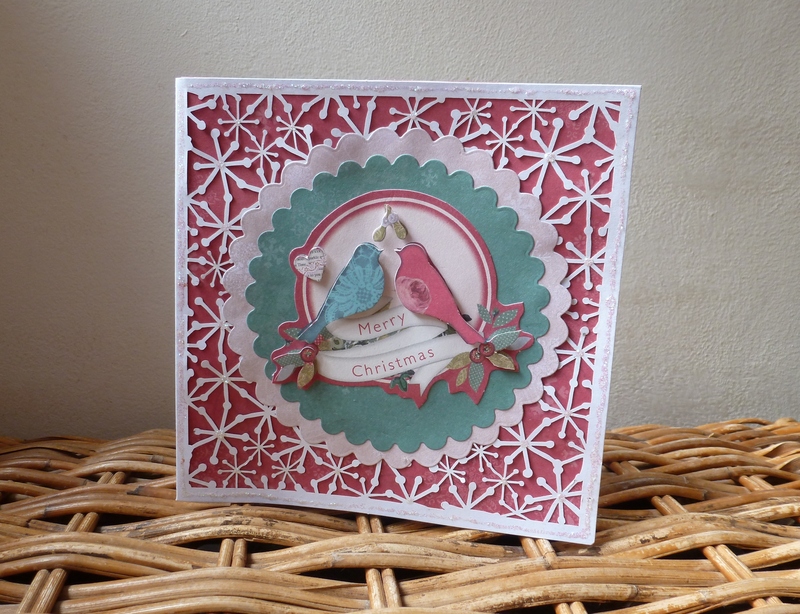 I have added circle dies and Bellisima decoupage birds to it. 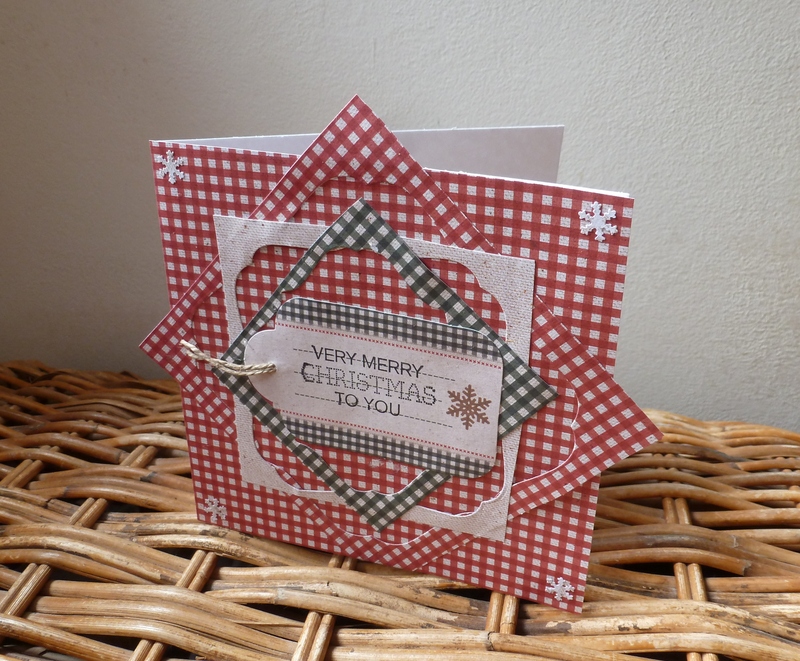 Here are a couple of cards I made using stamping and layering. Stamps by Papermania. 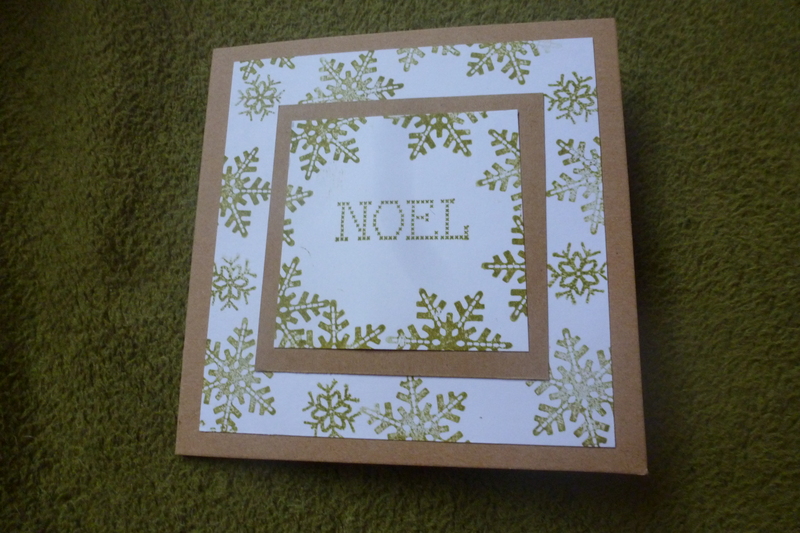 A simple card made using the negative frames from Parenthesis dies. Hello again! 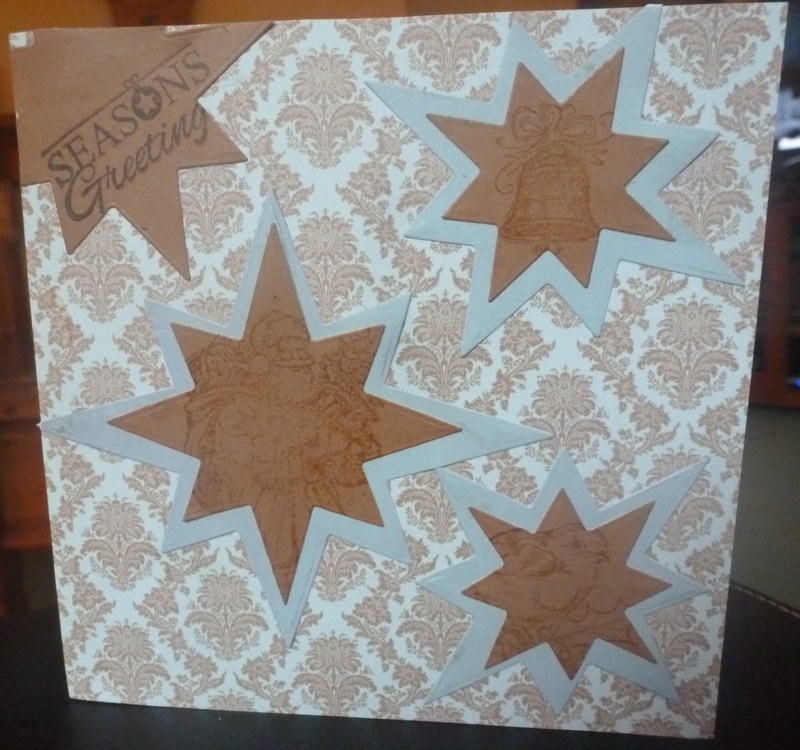 Here is a card I made with a fabulous Stampendous Stamp and a Clarity tree stencil! I sprayed the stencil and waited ages for the perfect image to use on this card! I think there is something wrong with my camera as my photos arent so sharp…. I love this range of papers by Papermania! This year they are simply called Craft Christmas but all have a definite Scandinavian feel to them which I love as I am a fan of contemporary Christmas cards. This is basically just matted layers, with cut out stars for a banner and reindeers about to leap into the air!